A new trailer for David Cronenberg‘s Cosmopolis has gone online. The plot centers on wealthy businessman (Robert Pattinson) who loses his fortune in a single day, and this trailer does a good job of conveying that basic plotline. But as we’ve seen from previous trailers, the flick looks far stranger and unwieldy than such a simple premise. This new trailer feels like it’s trying to smooth out the edges of an insane-looking flick. Hit the jump to check out the trailer. The film also stars Juliette Binoche, Sarah Gadon, Mathieu Amalric, Jay Baruchel, Kevin Durand, K’Naan, and Emily Hampshire. 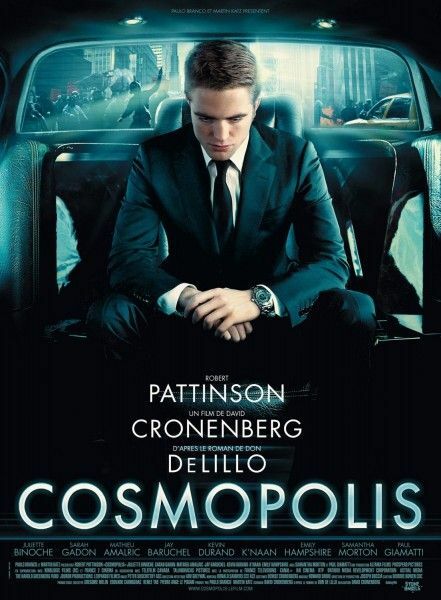 Cosmopolis opens in limited release August 17th.